I took my annual fall this week. It seems I fall while running once a year. I was having a very pleasant, 7-mile road run with my dog, Juneau. A construction zone appeared ahead with traffic cones, funneling traffic into a narrow lane. The shoulder was being repaved. No room or signs for pedestrians. One of the construction workers was standing on the newly paved section. After a quick assessment, I decided to run where the construction worker was standing. If he could stand there, I could surely run through there, right? However, I did not see the "trip-wire" blindly hanging about 2 inches off the ground. Juneau gracefully hopped over it as my right toe hooked underneath of the string. I flew across the pavement, Superman style, landing on my knee, stomach, elbows, and hands. I grunted, heaved myself to my feet, and dusted myself off. The workers stared at me in disbelief. "Are you alright?" one asked. "Yeah," I replied in annoyance. I was not happy that falling was becoming so routine that I wasn't even phased. 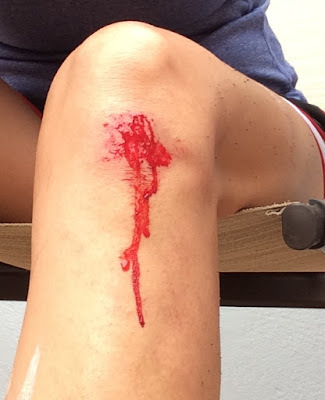 I brushed myself off and kept running, knowing a) my injuries seemed superficial and b) all inflammation and pain wouldn't begin until 30 minutes after my run finished. Besides, I still had 2 miles to go and running would get me home faster than walking. I'm healing nicely and my injuries did not prevent me from further workouts. In addition to the knee wound, I have poison oak scabs all over both legs from 3 different trail runs/bikes. Apparently, I'm very sensitive, which is not a good recipe for living in Northern California where poison oak is rampant. Did you know that the itching lasts for 3 weeks? I'm slowly clawing my way back onto the exercise wagon. I feel like I've reached the first tier of fitness. I'm back in shape again. 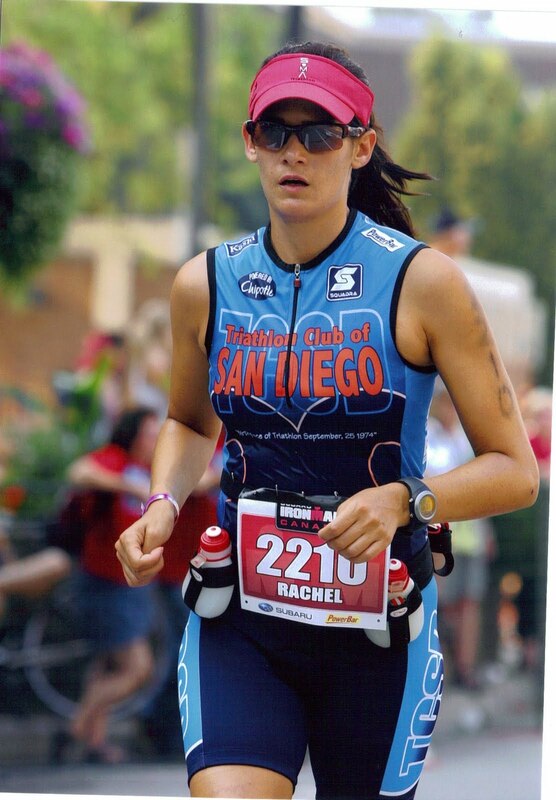 I can swim 2500 yds, bike 30 miles, and run 7 miles. I feel healthy and ready to add more miles. Now, I want to start racing again, building endurance, and see where it takes me. I have to be careful not to bite off more than I can chew and end up inured or burnt out again. However, dreams of Ironmans and ultra marathons are dancing through my head. I have a long, long way to go. It's frustrating because I can see how much I've lost. It's hard to be patient and let my body absorb the workouts. However, I do best when I just enjoy the workouts, don't push, and let my body tell me when it's ready. I'm excited to see where this takes me.